Click the button below to add the New England Patriots Super Bowl 53 LIII Watch Mens Game Time Titan SS to your wish list. 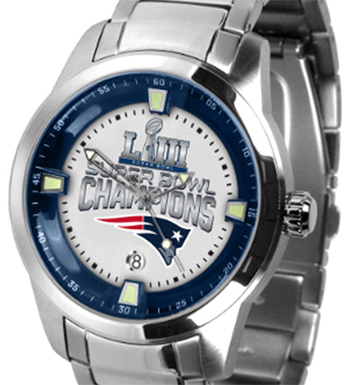 New England Patriots Super Bowl LIII Watch Mens, Licensed, New. 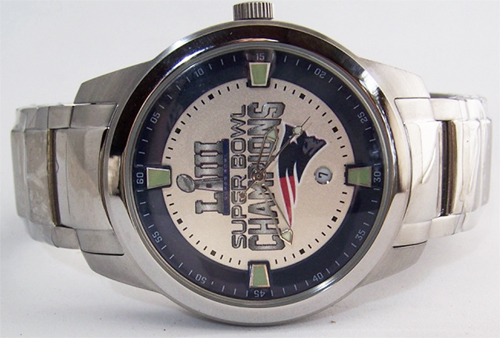 Authorized Game Time Mens Titan Series SuperBowl 53 Wristwatch. 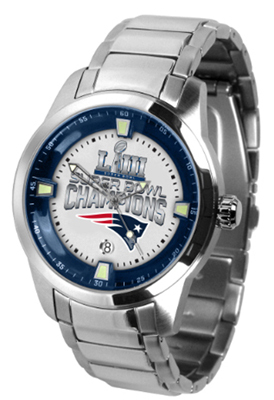 NFL Football Championship sports fans team logo wristwatches. 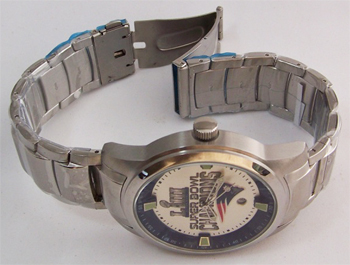 Officially licensed New England Patriots mens Super Bowl LIII wristwatch. 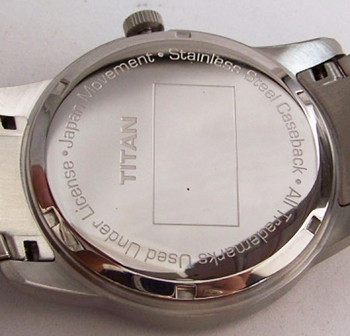 Game Time Titan mens wristwatch designed in cooperation with Sun Time Watches. Team logo and Super Bowl LIII logo in sharp colors against a silver dial. Date display at 6 O'clock. Scratch resistant mineral crystal. Mens large 44 mm case diameter on a Comfortable contoured stainless steel band with contrasting finishes, water resistant to 5 ATM (50 meters, 165 feet. Comes with manufacturers limited one year warranty. * Stainless steel band with dual locking clasp.